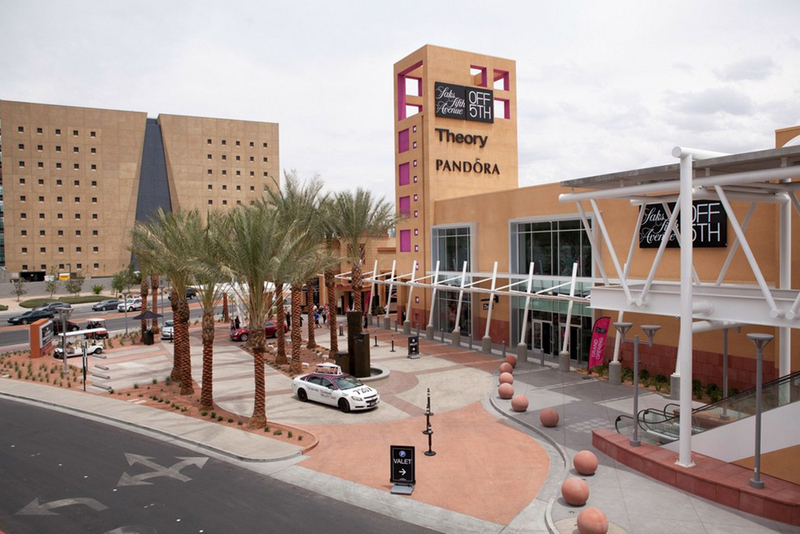 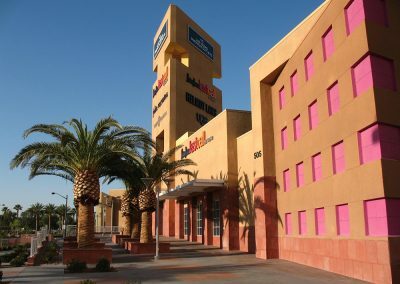 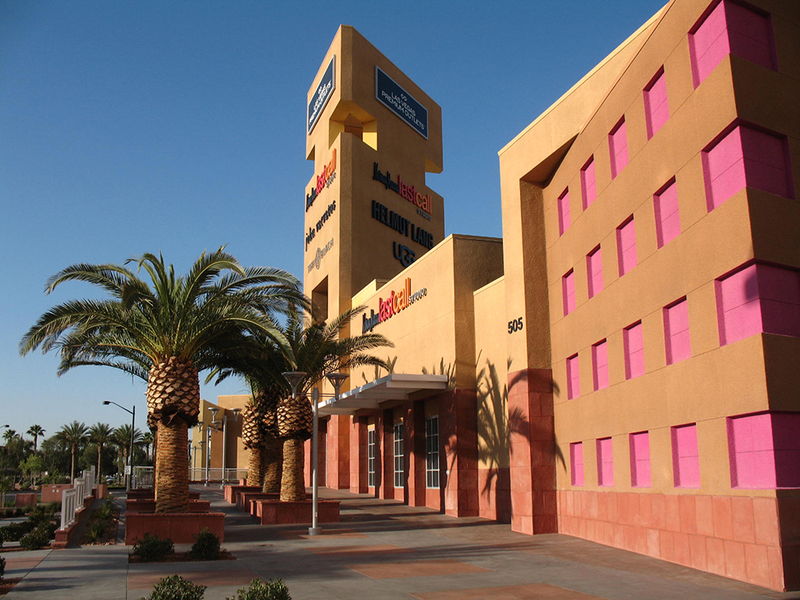 HGA worked intensely with the Owner, the City of Las Vegas, and other team member consultants to expand Las Vegas Premium Outlets North into the last remaining adjacent parcel. 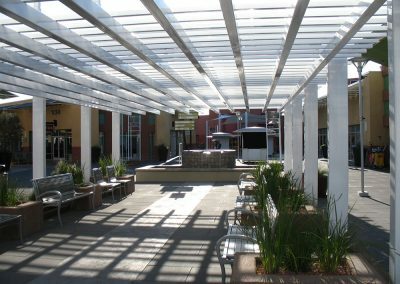 With very little wiggle room, HGA successfully integrated four new buildings with more than 25 new tenant suites including a new two-story retail tenant. 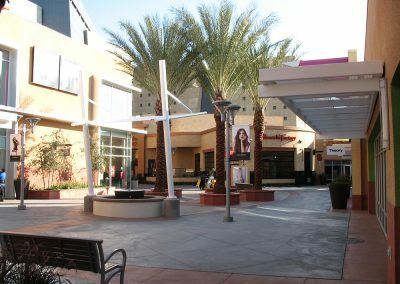 Access to the existing center was accomplished via cuts through the existing buildings while creating new boutique retail spaces within these intimate pathways. 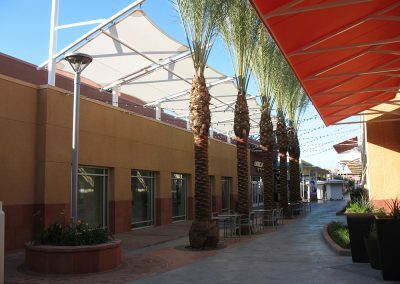 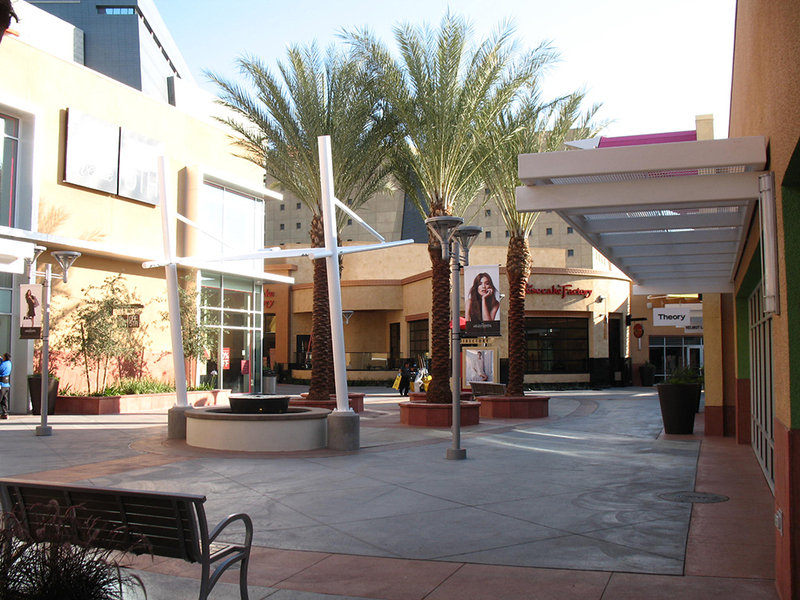 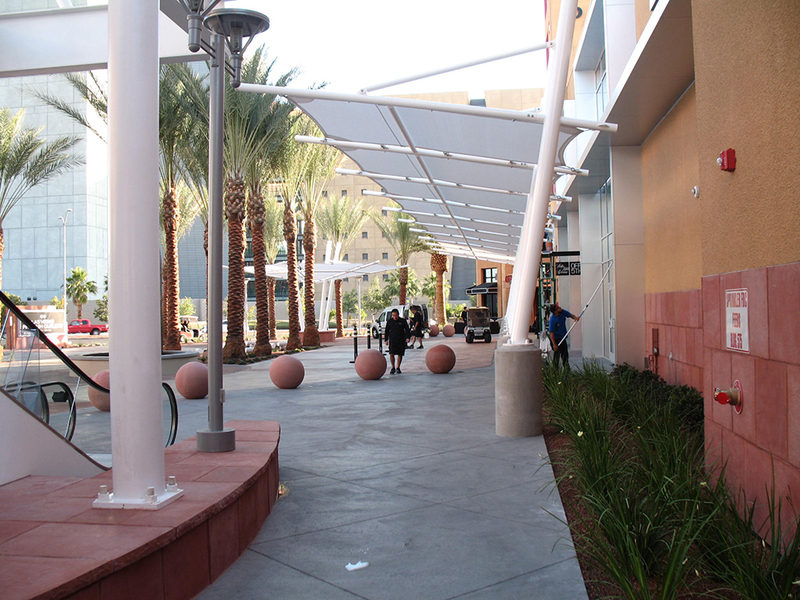 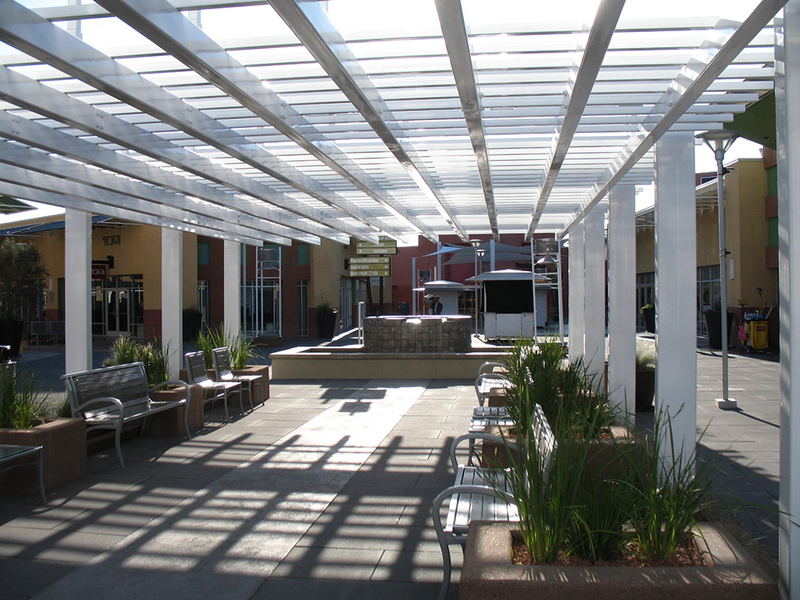 Colorful hardscape, landscaping, shade structures, and water features surround inviting seating areas for shoppers. 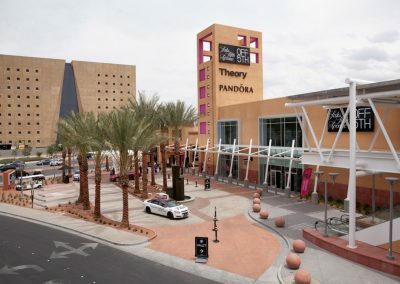 The expansion also included The Cheesecake Factory, a high-end restaurant at over 8,000 sf space, adjacent a new valet loop elevating the luxury shopping experience patrons have come to expect. 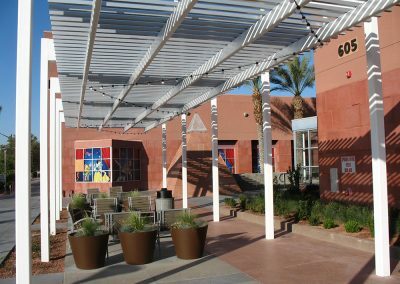 During this expansion, the rest of the center also underwent a renovation enhancing landscape and seating areas, repainting, and amenity upgrades. 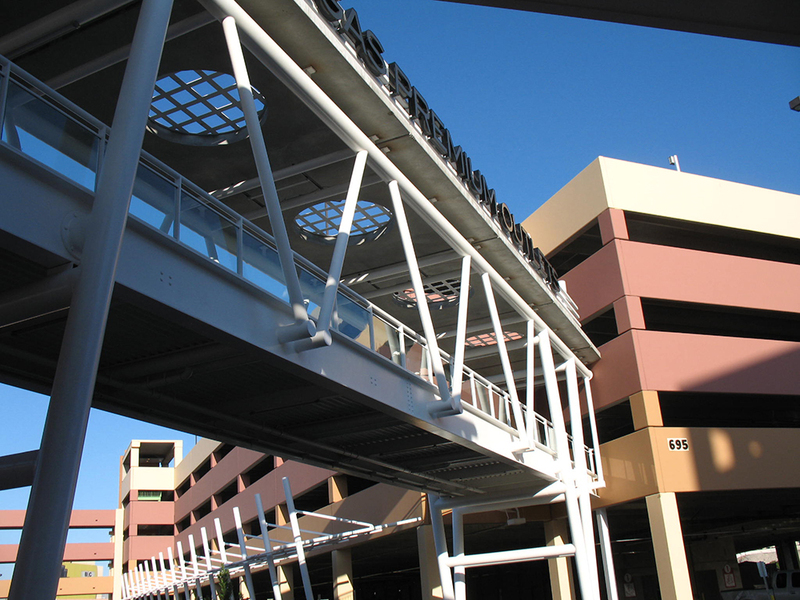 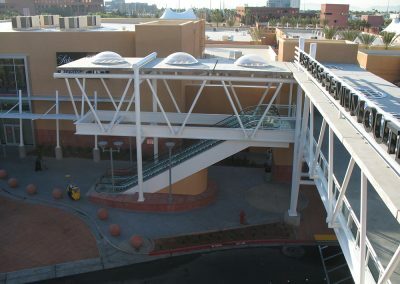 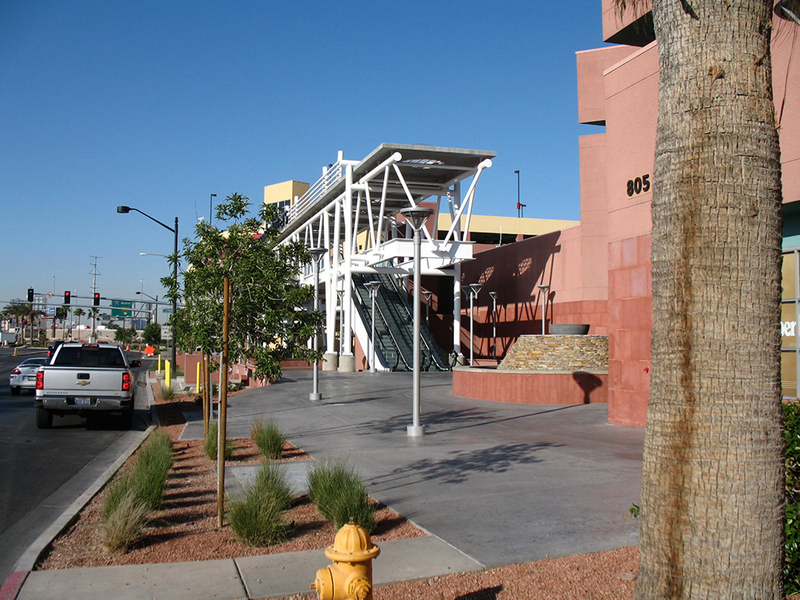 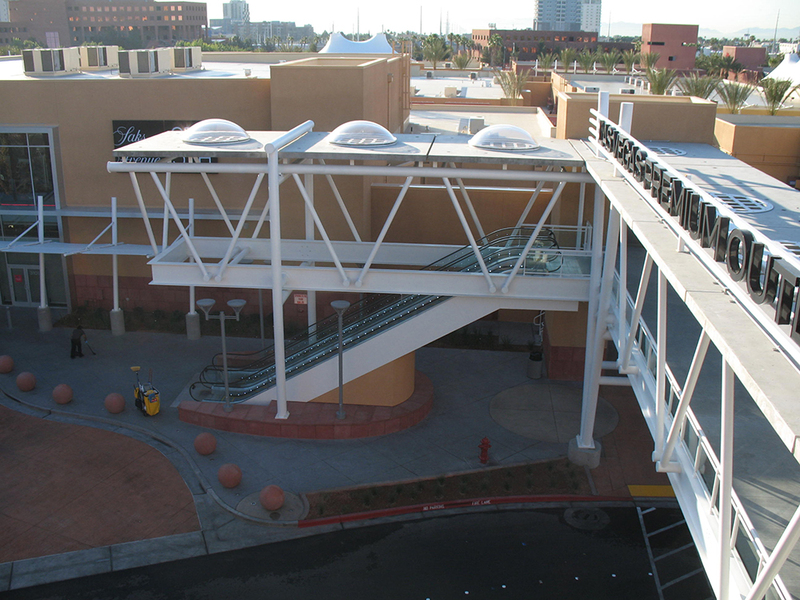 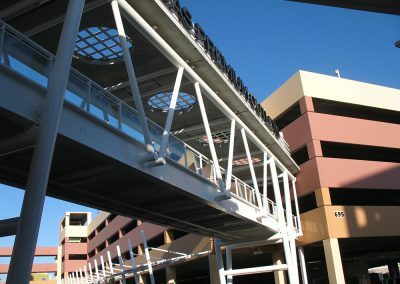 New Pedestrian Bridges now connect the existing parking decks directly to the Center not only relieving previous traffic and circulation concerns but also framing the entrances from Bonneville Avenue and Grand Central Parkway with attractive new signage and details indicative of the Las Vegas Premium Outlets. 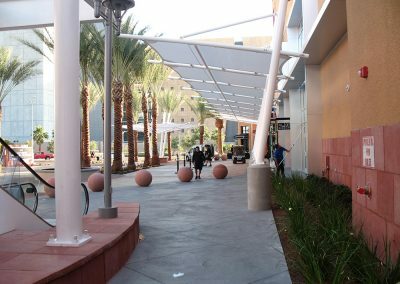 The Center was 100% leased at the Grand Opening of Phase III in May 2015, and now totals 750,000 sf.